This tutorial describes how to use Fast R-CNN in the CNTK Python API. Fast R-CNN using BrainScript and cnkt.exe is described here. The above are examples images and object annotations for the grocery data set (left) and the Pascal VOC data set (right) used in this tutorial. 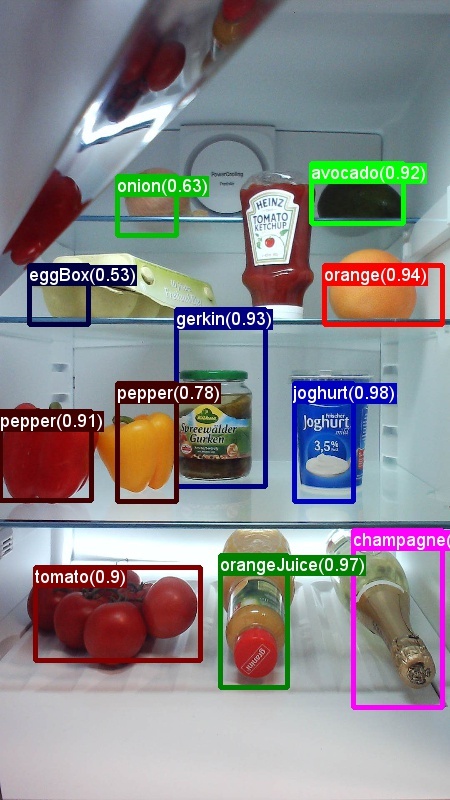 Fast R-CNN is an object detection algorithm proposed by Ross Girshick in 2015. The paper is accepted to ICCV 2015, and archived at https://arxiv.org/abs/1504.08083. Fast R-CNN builds on previous work to efficiently classify object proposals using deep convolutional networks. Compared to previous work, Fast R-CNN employs a region of interest pooling scheme that allows to reuse the computations from the convolutional layers. Copy the generated cython_bbox and cpu_nms (and/or gpu_nms) binaries from $FRCN_ROOT/lib/utils to $CNTK_ROOT/Examples/Image/Detection/utils/cython_modules. The images will be saved into the FastRCNN/Output/Grocery/ folder if you run python run_fast_rcnn.py. Now you're set to train on the Pascal VOC 2007 data using python run_fast_rcnn.py. Beware that training might take a while. The Visual Object Tagging Tool (VOTT) is a cross platform annotation tool for tagging video and image assets. 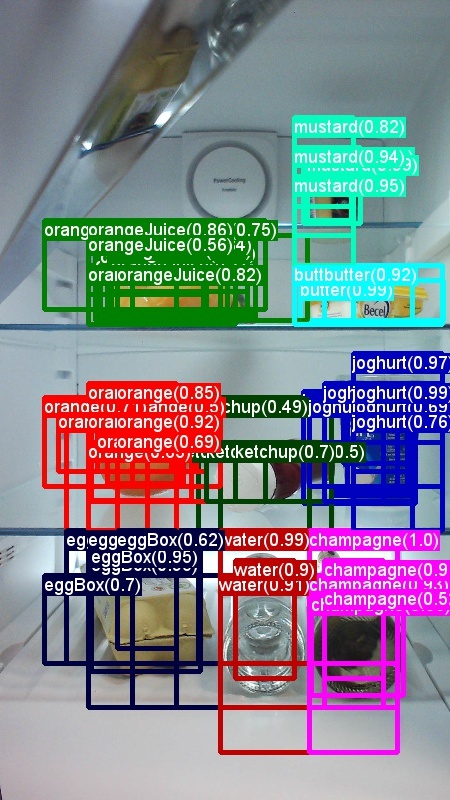 Computer-assisted tagging and tracking of objects in videos using the Camshift tracking algorithm. 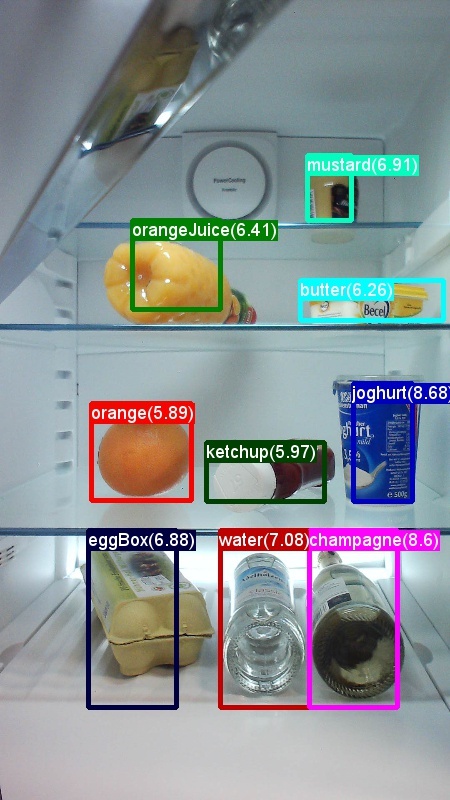 Exporting tags and assets to CNTK Fast-RCNN format for training an object detection model. Running and validating a trained CNTK object detection model on new videos to generate stronger models. Run C1_DrawBboxesOnImages.py to draw bounding boxes on the images. In the script set imgDir = <your_image_folder> (/positive or /testImages) before running. Add annotations using the mouse cursor. Once all objects in an image are annotated, pressing key 'n' writes the .bboxes.txt file and then proceeds to the next image, 'u' undoes (i.e. removes) the last rectangle, and 'q' quits the annotation tool. Run C2_AssignLabelsToBboxes.py to assign labels to the bounding boxes. ... and adapt the classes in the script to reflect your object categories, for example classes = ("dog", "cat", "octopus"). The script loads these manually annotated rectangles for each image, displays them one-by-one, and asks the user to provide the object class by clicking on the respective button to the left of the window. Ground truth annotations marked as either "undecided" or "exclude" are fully excluded from further processing. Note that __C.CNTK.PROPOSAL_LAYER_SCALES is not used for Fast R-CNN, only for Faster R-CNN. The Fast R-CNN algorithm is explained in the Algorithm details section together with a high level overview of how it is implemented in the CNTK Python API. This section focuses on configuring Fast R-CNN and how to you use different base models. The three parts are loaded and merged in the get_configuration() method in run_fast_rcnn.py. In this section we'll cover the detector parameters. Data set parameters are described here, base model parameters here. In the following we go through the most important parameters in FastRCNN_config.py. All parameters are also commented in the file. The configuration uses the EasyDict package that allows easy access to nested dictionaries. # Use horizontally-flipped images during training? The ROI proposals are computed on the fly in the first epoch using the selective search implementation from the dlib package. The number of proposals that are generated is controlled by the __C.NUM_ROI_PROPOSALS parameter. We recommend to use around 2000 proposals. The regression head is only trained on those ROIs that have an overlap (IoU) with a ground truth box of at least __C.BBOX_THRESH. __C.INPUT_ROIS_PER_IMAGE specifies the maximum number of ground truth annotations per image. CNTK currently requires to set a maximum number. If there are fewer annotations they will be padded internally. __C.IMAGE_WIDTH and __C.IMAGE_HEIGHT are the dimensions that are used to resize and pad the input images. __C.TRAIN.USE_FLIPPED = True will augment the training data by flipping all images every other epoch, i.e. the first epoch has all regular images, the second has all images flipped, and so forth. __C.TRAIN_CONV_LAYERS determines whether the convolutional layers, from input to the convolutional feature map, will be trained or fixed. Fixing the conv layer weights means that the weights from the base model are taken and not modified during training. (You can also specify how many conv layers you want to train, see section Using a different base model). __C.RESULTS_NMS_THRESHOLD is the NMS threshold used to discard overlapping predicted bounding boxes in evaluation. A lower threshold yields fewer removals and hence more predicted bounding boxes in the final output. If you set __C.USE_PRECOMPUTED_PROPOSALS = True the reader will read precomputed ROIs from text files. This is for example used for training on Pascal VOC data. The file names __C.DATA.TRAIN_PRECOMPUTED_PROPOSALS_FILE and __C.DATA.TEST_PRECOMPUTED_PROPOSALS_FILE are specified in Examples/Image/Detection/utils/configs/Pascal_config.py. # There are max_merging_iterations rounds of neighboring blob merging. # you get, with larger values of the parameter giving more output rectangles. The above parameters are configuring dlib's selective search. For details see the dlib homepage. The following additional parameters are used to filter generated ROIs w.r.t. minimum and maximum side length, area and aspect ratio. If selective search returns more ROIs than requested they are sampled randomly. If fewer ROIs are return additional ROIs are generated on a regular grid using the specified __C.roi_grid_aspect_ratios. To investigate the node names of your base model you can use the plot() method from cntk.logging.graph. Please note that ResNet models are currently not supported since roi pooling in CNTK does not yet support roi average pooling. R-CNNs for Object Detection were first presented in 2014 by Ross Girshick et al., and were shown to outperform previous state-of-the-art approaches on one of the major object recognition challenges in the field: Pascal VOC. Since then, two follow-up papers were published which contain significant speed improvements: Fast R-CNN and Faster R-CNN. 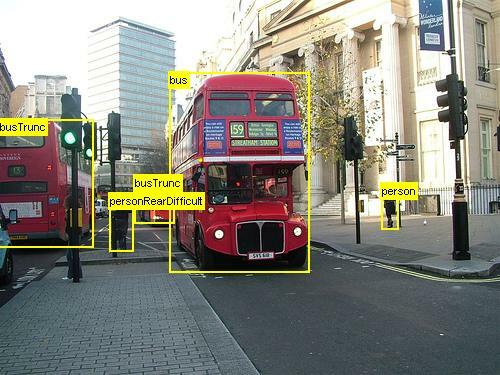 The basic idea of R-CNN is to take a deep Neural Network which was originally trained for image classification using millions of annotated images and modify it for the purpose of object detection. The basic idea from the first R-CNN paper is illustrated in the Figure below (taken from the paper): (1) Given an input image, (2) in a first step, a large number region proposals are generated. (3) These region proposals, or Regions-of-Interests (ROIs), are then each independently sent through the network which outputs a vector of e.g. 4096 floating point values for each ROI. Finally, (4) a classifier is learned which takes the 4096 float ROI representation as input and outputs a label and confidence to each ROI. While this approach works well in terms of accuracy, it is very costly to compute since the Neural Network has to be evaluated for each ROI. Fast R-CNN addresses this drawback by only evaluating most of the network (to be specific: the convolution layers) a single time per image. According to the authors, this leads to a 213 times speed-up during testing and a 9x speed-up during training without loss of accuracy. This is achieved by using an ROI pooling layer which projects the ROI onto the convolutional feature map and performs max pooling to generate the desired output size that the following layer is expecting. In the AlexNet example used in this tutorial the ROI pooling layer is put between the last convolutional layer and the first fully connected layer. In the CNTK Python API code shown below this is realized by cloning two parts of the network, the conv_layers and the fc_layers. The input image is then first normalized, pushed through the conv_layers, the roipooling layer and the fc_layers and finally the prediction and regression heads are added that predict the class label and the regression coefficients per candidate ROI respectively. The original Caffe implementation used in the R-CNN papers can be found at GitHub: RCNN, Fast R-CNN, and Faster R-CNN. Patrick Buehler provides instructions on how to train an SVM on the CNTK Fast R-CNN output (using the 4096 features from the last fully connected layer) as well as a discussion on pros and cons here. Selective Search is a method for finding a large set of possible object locations in an image, independent of the class of the actual object. It works by clustering image pixels into segments, and then performing hierarchical clustering to combine segments from the same object into object proposals. To complement the detected ROIs from Selective Search, we add ROIs that uniform cover the image at different scales and aspect ratios. The image on the left shows an example output of Selective Search, where each possible object location is visualized by a green rectangle. ROIs that are too small, too big, etc. are discarded (middle) and finally ROIs that uniformly cover the image are added (right). These rectangles are then used as Regions-of-Interests (ROIs) in the R-CNN pipeline. The goal of ROI generation is to find a small set of ROIs which however tightly cover as many objects in the image as possible. This computation has to be sufficiently quick, while at the same time finding object locations at different scales and aspect ratios. Selective Search was shown to perform well for this task, with good accuracy to speed trade-offs. 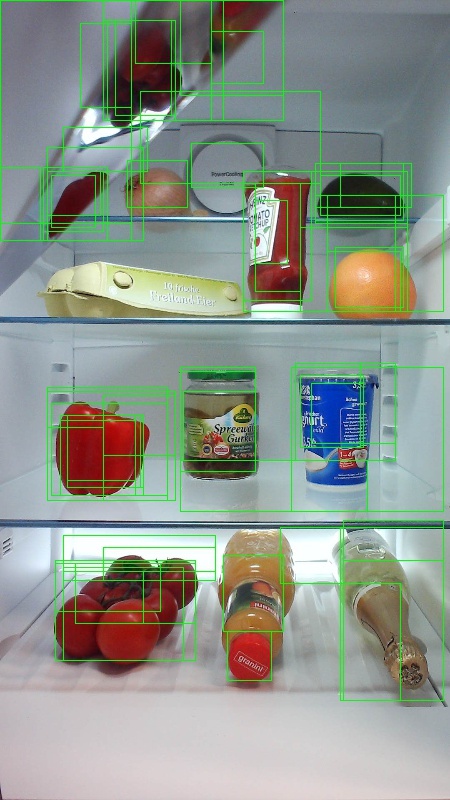 Object detection methods often output multiple detections which fully or partly cover the same object in an image. These ROIs need to be merged to be able to count objects and obtain their exact locations in the image. This is traditionally done using a technique called Non Maximum Suppression (NMS). The version of NMS we use (and which was also used in the R-CNN publications) does not merge ROIs but instead tries to identify which ROIs best cover the real locations of an object and discards all other ROIs. This is implemented by iteratively selecting the ROI with highest confidence and removing all other ROIs which significantly overlap this ROI and are classified to be of the same class. The threshold for the overlap can be set in PARAMETERS.py (details). Once trained, the quality of the model can be measured using different criteria, such as precision, recall, accuracy, area-under-curve, etc. A common metric which is used for the Pascal VOC object recognition challenge is to measure the Average Precision (AP) for each class. The following description of Average Precision is taken from Everingham et. al. The mean Average Precision (mAP) is computed by taking the average over the APs of all classes. where p(˜r) is the measured precision at recall ˜r. The intention in interpolating the precision/recall curve in this way is to reduce the impact of the “wiggles” in the precision/recall curve, caused by small variations in the ranking of examples. It should be noted that to obtain a high score, a method must have precision at all levels of recall – this penalizes methods which retrieve only a subset of examples with high precision (e.g. side views of cars).